Antonio Quaranta received his bachelors in music from Northern Illinois University. There he studied voice with baritone Robert Sims and soprano Nancy Henninger. While at NIU he performed such roles as St. Lawrence in Thompson’s Four Saints in Three Acts, Jupiter in Offenbach’s Orpheus in the Underworld, and Papageno in Mozart’s Die Zauberflöte. Antonio received his masters in music from the Chicago College of Performing Arts at Roosevelt University where he studied with baritone David Holloway and soprano Judith Haddon. While at CCPA, he performed the role of Chief of Police in Menotti’s Amelia al Ballo. He also had the opportunity of singing Stravinsky’s Pulcinella with the CCPA Symphony Orchestra under the baton of Rossen Milanov. Professional credits include Giuseppe in Verdi’s La Traviata with Intimate Opera Chicago. 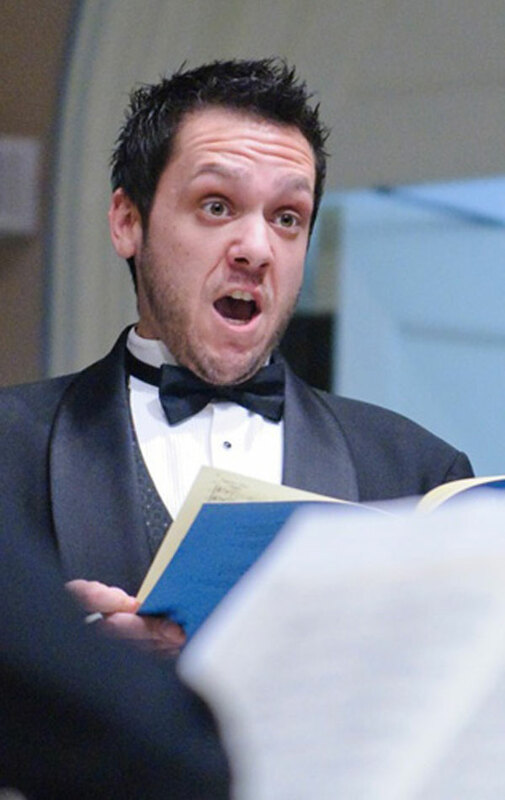 Antonio has also sung Handel’s Messiah with the Dekalb Chamber Orchestra, Hayden’s Lord Nelson Mass and Handel’s Dixit Dominus both with the Metropolis Chamber Orchestra. He has performed Vaughan Williams’ Fanatasia on Christmas Carols for Baritone, Chorus and Orchestra with the Baker Memorial Chancel Choir. Musical theatre credits include Caleb in Seven Brides for Seven Brothers with the Woodstock Musical Theatre Company where he was nominated for best actor in a supporting role. Antonio is also a member of the St. Charles Singers, a professional chamber choir which performs regularly with the Elgin Symphony Orchestra. With the choir, Antonio has toured in France performing at various cathedrals in the Loire Valley. Apart from performing, Antonio runs a private voice studio, teaching voice to high school aged students.